While I may be a little miserly about New Years Eve (perhaps the product of too many years started exhausted with a hangover with the low mood to accompany it), I actually really like that every year people use the start of January as a reason to make positive changes in their lives. I don't buy into the whole 'new year, new me' thing (we're not going to change our personalities overnight), but I don't see anything negative about wanting to be fitter, healthier, more creative, more adventurous etc. 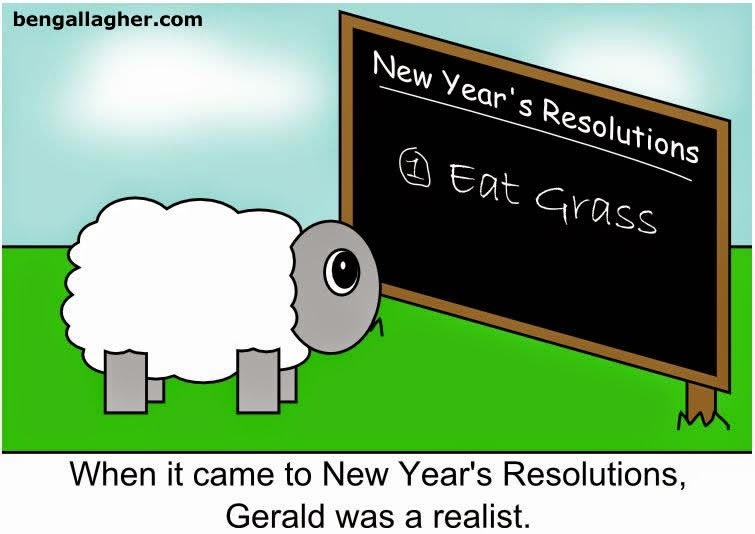 And let's face it, a lot of us need goals to get us through the long month of January. I'm not really one to list resolutions on my blog as I prefer to quietly get on with the new year, but I hope that those of you who have decided to make changes have the confidence to follow through with it.